I know that we’re all familiar with the ridiculous extravagance of some of the word of faith preachers. Kenneth Copeland, Jesse Duplantis, Creflo Dollar, Joyce Meyer and Joel Osteen with their jets and mansions and vacation homes and gold commodes and the like. Occasionally when someone comments on their over-the-top lifestyles of these supposed men and women of God, especially the private jets, replies often veer to the extreme in defending their purchase and use for a ‘ministry’. Duplantis said he needed the plane so he could work. Copeland said the same, the private plane is his sanctuary. They agreed they could talk to God better and there would not be distractions of people coming up to them asking for prayer. They needed the plane so they could work. Remember these reasons later. For work. Can you picture Paul spending ministry money to hire this palanquin, the Lear Jet of the day? We chortle and giggle at these obvious extremes, and wonder how much money could be spent elsewhere if only the preacher would cut down on the luxury living and donate the funds to worthy ministries, their own congregation, or anywhere else except to support their self-indulgent lifestyle choices. The Bible is clear on life and doctrine. Ministers and leaders must be pure, humble, and Godly. It is not a sin to be rich, not at all. Abraham and Job and Solomon and Joseph of Arimathea were extremely wealthy. Lydia was rich. Joseph and Mary were nearly peasants and many of the disciples were simple fishermen. The Bible runs the gamut on the sliding scale of wealth, showing us many different people and lifestyles in its pantheon of heroes and villains. The point isn’t having the money. The point is what you do with it. 1. that riches engross the affections. 2. that people consider wealth as the chief good, and when this is obtained they think they have gained all. 3. that they are proud of their wealth, and unwilling to be numbered with the poor and despised followers of Jesus. 4. that riches engross the time, and fill the mind with cares and anxieties, and leave little for God. 5. that they often produce luxury, dissipation, and vice. that it is difficult to obtain wealth without sin, without avarice, without covetousness, fraud, and oppression, 1 Timothy 6:9-10, 1 Timothy 6:17; James 5:1-5; Luke 12:16-21; Luke 16:19-31. Still, Jesus says Matthew 19:26, all these may be overcome. God can give grace to do it. Though to people it may appear impossible, yet it is easy for God. When we think of mega-rich pastors and leaders living luxuriant lifestyles, we usually think of Copeland, Duplantis, Dollar, Meyer, and Osteen. Yet there are other leaders who live similarly to the megapastors I’ve just mentioned. I’d like to bring your attention to Beth Moore’s lifestyle. Yes, Beth Moore. Moore puts forth the deliberate image that she is just a sister to us all, living a struggling life with her man, eatin’ Ramen, and listening to the crickets for entertainment. 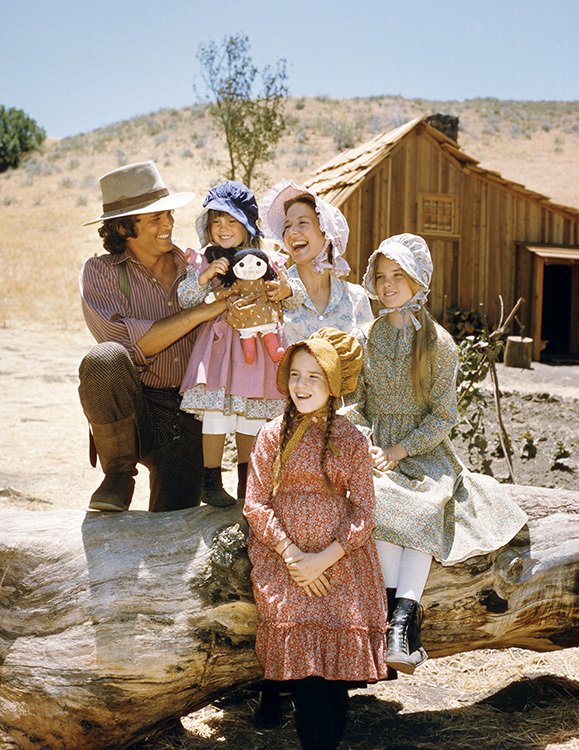 The lifestyle image she carefully cultivates is a Ma Ingalls type. Here’s her description under her photo of the creek by their home on their property. It’s true. Read for yourself. We have a tiny little sliver of water not far from us that you could call a creek if you were in a particularly generous mood. It’s got some sand by it that the kids really like. Be blessed that this is not a scratch and sniff picture because the creek doesn’t always smell all that good, especially if it hasn’t rained in a while. But if your nose is slightly stuffy, it can be pretty fun. So, three years to the day later, we’re making it out in these modest woods. These acres would not be beautiful to everybody but they’re beautiful to us. Life has been brand new out here. I won’t kid you. It’s been an adjustment. A lot less eating out. A lot more cooking. A lot more driving to work. The cars stay filthy. The raccoons won’t stay out of the trash. Fed Ex never can find us. But we don’t mind. Because it was time to make a move. For us, it was out where the dawn breaks to the crow of a rooster. Note the size of the lot compared to surrounding lots. Ahem. Modest? No. 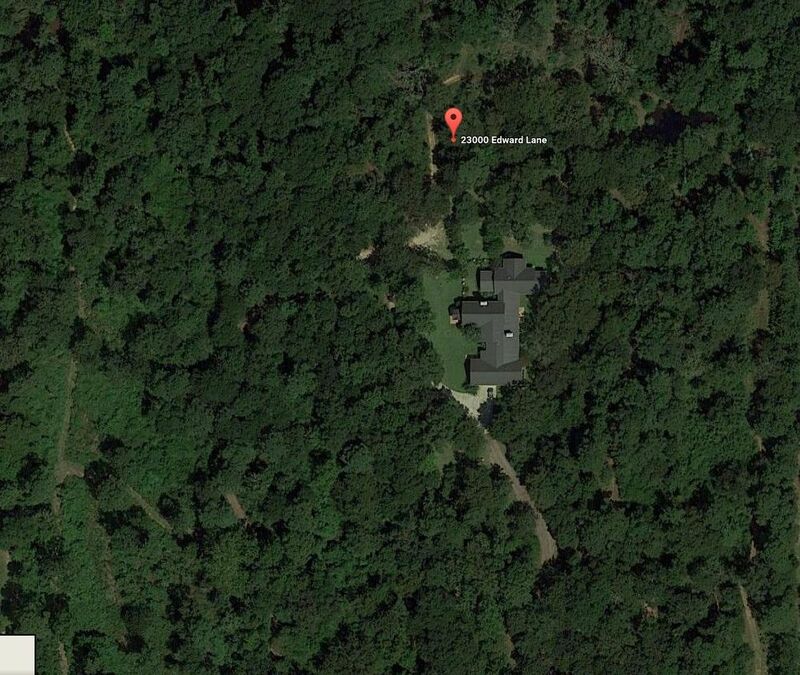 It’s an enormous private property. The house isn’t as large as other mega-rich pastors’, to be sure. 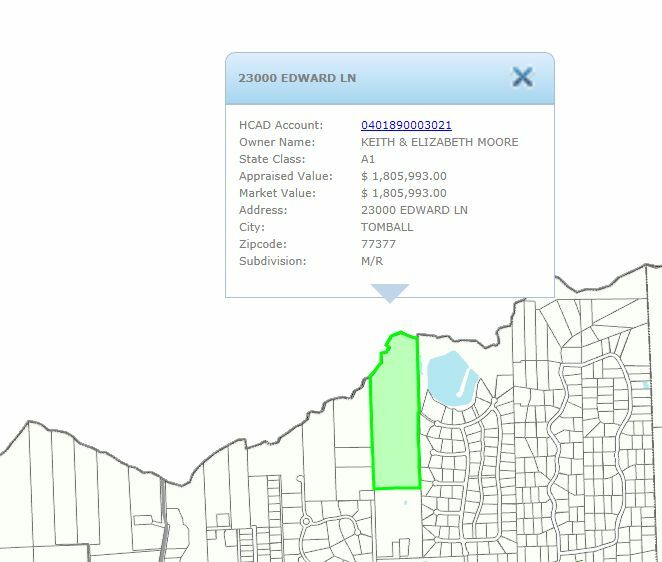 Her home, house A on the tax map, is 4500 square feet, (still 10X the size of my home), with 4 bedrooms, which does make sense as a family with two grown daughters and lots of grandchildren running around. But the land is a huge parcel, YUGE. The other home, House B, is for the in-laws, a 3BR home 2,200 sf in size. To be fair, Moore moved to this enclave of 46 wooded private acres with creek and two homes, according to her blogs, was so that she and her husband Keith could give Keith’s father a quality of life in his final days, close to the family and away from the busy city. I say if you have the means to provide a house and atmosphere for elderly parents close to the nuclear family, more power to you. It honors the mother and the father as the Commandment said. But the down-home, aw shucks lifestyle is an image, not the reality. It’s PR, and it’s not honest. The reality is, Beth Moore is President of a globally known corporation, with a constant annual salary of a quarter of a million dollars, and its net worth last year of 15 million, living in a large home in pristine wooded enclave of 46 acres outside a major city, held in a trust, with all the toys and machines one could hope for in this enclave like tractors and golf carts etc. Her social-collegial sphere is populated with other mega-rich pastors and leaders, hobnobbing with the glitterati, and flying by private plane, just like Kenneth Copeland, Jesse Duplantis, and Benny Hinn do. This is NOT a “modest” lifestyle. net worth of Living Proof Ministry. Below, Moore with mega-rich pastrix Victoria Osteen and friends. Joel Osteen’s net worth (and his wife Victoria’s, pictured below) is estimated at $40 million, according to Celebrity Net Worth. Meanwhile, BeliefNet has Osteen, 54, listed as the fifth richest pastor in America. Source heavy.com, Aug, 2017. Friends of a feather. I’ll tell you what’s “modest”. Modest woods and filthy cars and sandy creeks, bah. Let’s get real about these terms Moore uses. Me, I live modest. All my clothes are hand me downs. I drive a 20-year-old car that’s constantly in the repair shop. I live paycheck to paycheck, most of which is gone the first day I receive it each month. My domicile is a 400 sf apartment. A luxury for me would be to get my hair styled in a salon, and not the assembly line barbershop I usually go to. Or, not having to buy food that is expiring because I can save a dollar, is modest. My sphere is populated with other lower middle to middle-class folks who are just trying to make it, too. My sphere does not include private planes, fellow rich friends, wooded enclaves, and custom outdoor kitchens. It’s populated with middle class folks who really scrimp and save. My concern is not so much the income or the large property Moore lives on, but the carefully curated image designed to deceive people into thinking she is less well-off than she is. It’s the hypocrisy. But wait, there’s more. 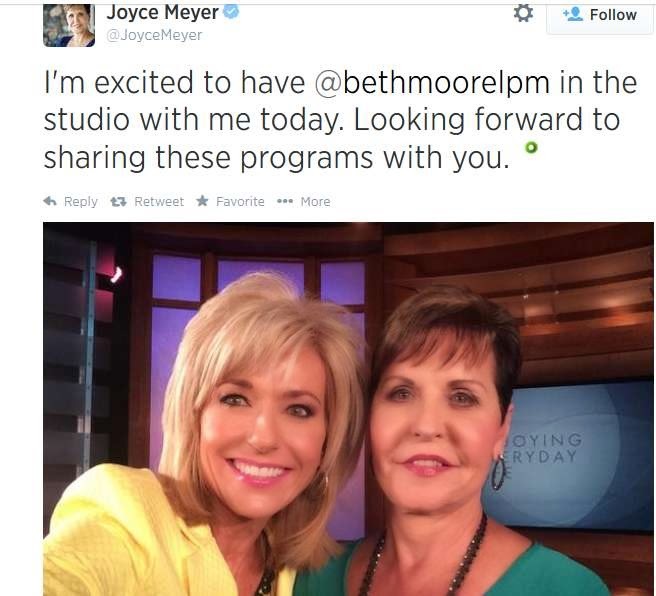 Beth Moore does not own a private jet, (yet) but she is given one to use. LifeWay, who partners with her in producing the Living Proof Live events, jets her around on a private plane, half the cost of which is paid by LifeWay and half by Living Proof Ministry. Is this any different than Kenneth Copeland or Jesse Duplantis jetting around in their jets for “ministry,”? Is this how LifeWay spends its ministry money, jetting Beth Moore from state to state? These screen shots below are from publicly available Living Proof Ministry’s posted tax returns. Their returns are open for public inspection. Below, is this what Hillsong congregants expect their tithes and offerings to go, subsidizing a celebrity speaker’s luxury travel? Oh! Just like when Jesse Duplantis said he needed a private plane. For work. Or when Kenneth Copeland said he needed a private plane. For work. LifeWay Christian resources is under the umbrella of the Southern Baptist Convention, as is the International Mission Board. (also here). I want to relate these facts I’ve shared to the Bible. Paul sent Timothy to the baby church at Corinth. (1 Corinthians 4:17). The Southern Baptist Convention through its sub-arm International Mission Board sends missionaries abroad to plant churches and to help baby churches. Same-same. So far so good. Last year (2016) the IMB recalled about 1000 missionaries in a cost-cutting measure. Not good. The other part of the SBC ‘body’, its sub-arm Lifeway, subsidizes private planes for Beth Moore. Would Paul recall Timothy’s mission from Corinth in a cost-cutting measure, and then turn around and use the money the very poor church in Macedonia collected (2 Corinthians 8:1-3) to fund his luxury travel? Would he? Think on this: while the SBC-IMB is calling missionaries home to save money, the SBC-Lifeway is spending money for Beth Moore & family’s private plane. When Beth Moore traveled to Hillsong Australia with her daughter, Hillsong paid her Coach plane fare, but that wasn’t good enough. Beth Moore then used her LP Ministry money to upgrade herself and her daughter’s travel to luxury First Class. For work. The Living Proof Ministry does donate to worthy causes, their philanthropy is clear and present. It’s not all bad. 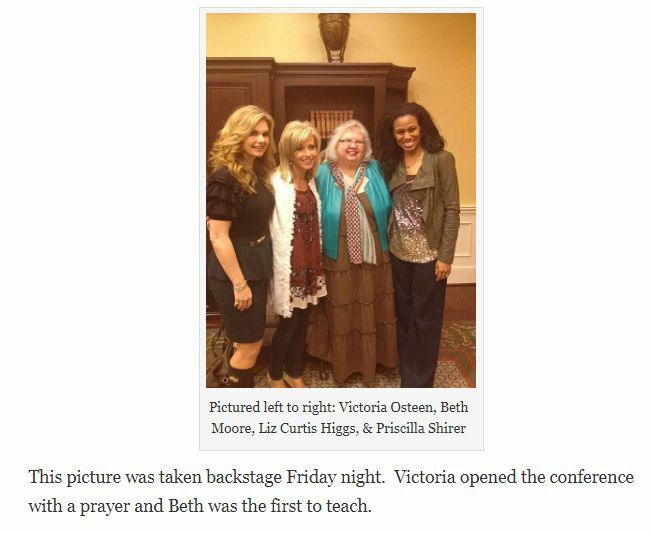 But the hypocrisy evident in Beth Moore’s carefully presented down-home image and the reality of the money-money-money that includes private plane travel for her and her daughter needs to be exposed. It’s a fact that Moore is not a down-home sister, but is in theology and in lifestyle more similar to Joyce Meyer and Victoria Osteen. Paul had advice on how to engage with Believers and Gentiles. 19 For though I am free from all, I have made myself a servant to all, that I might win more of them. 20 To the Jews I became as a Jew, in order to win Jews. To those under the law I became as one under the law (though not being myself under the law) that I might win those under the law. 21 To those outside the law I became as one outside the law (not being outside the law of God but under the law of Christ) that I might win those outside the law. 22 To the weak I became weak, that I might win the weak. I have become all things to all people, that by all means I might save some. 23 I do it all for the sake of the gospel, that I may share with them in its blessings. (1 Corinthians 9:19-23). 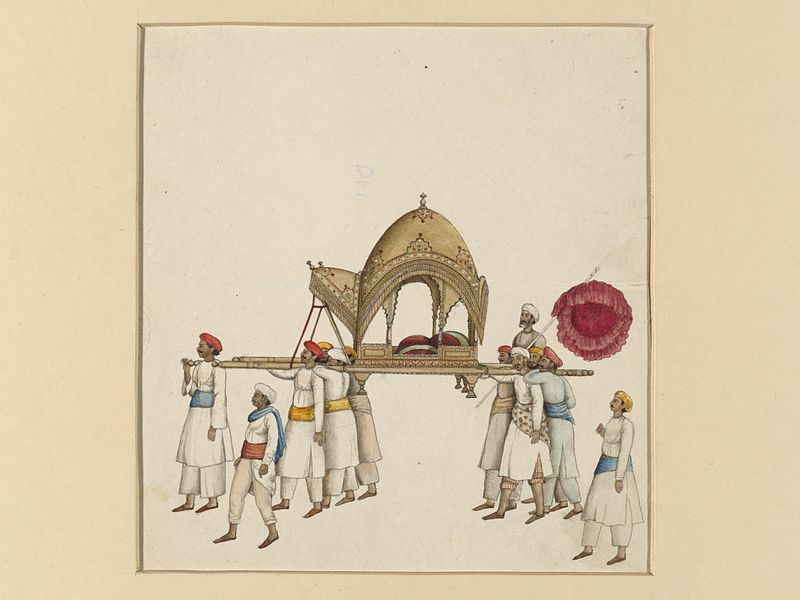 Paul did not say he needed a pillowed palanquin, for work. He did not take the Macedonian church’s ministry offering and upgrade himself to a first class cabin on the ship. He did not pretend to sew tents for work by a sandy, smelly creek while actually writing his epistle from a palace filled with luxury comforts on the personal estate of Felix. Paul was real. His life was transparent and open, and he well knew how it would look to present one image while living another. It’s called hypocrisy. What is my reward then? Truly that, when I preach the gospel, I may make the gospel of Christ without charge, that I abuse not my power in the gospel. that I abuse not my power in the Gospel; his right of having a maintenance, whilst he was preaching the Gospel; to have made use of which would have been an abuse of it, since it would have given occasion to the false apostles to reproach and calumniate, and might have been an hindrance to the Gospel of Christ, and a stumbling to some weak minds. Leaders must make wise choices about their lifestyle for the sake of the Gospel and not appear to be abusing it like Beth Moore does for self-indulgences and personal luxuries. I’m a reasonable person. I know that weather, illness, and emergencies sometimes impact the travel plans of a busy and sought-after speaker. Earlier on in Moore’s ministry, the tax records show an occasional chartered plane. I understand this. Sometimes you’ve got to get to where you’re going in order to honor a commitment. However, Moore’s upgrading herself and her daughter to first class on the Living Proof Ministry’s dime for the excuse that she can “work” isn’t any different from the word of faith preachers’ excuses. Also, using ministry money for private jet travel on both Lifeway’s and LPL’s dime is extremely questionable. This is how a person gets to be a Jesse Duplantis or a Kenneth Copeland. This is how it begins. And for Beth Moore, it has begun. What Does The Bible Say About Material Possessions? Is owning material things bad? If you are very wealthy, are you in sin? Is there a line drawn in the sand about owning material possessions? Well, the Bible does talk about money and material things quite a bit and doesn’t leave anything for debate. Can you own lots of material possessions and be without sin? The answer is yes, but that road, my friends, is a very treacherous and hard road to walk rightly with the Lord. Let’s look into scripture and see what the Bible says about material things. You can’t get on a long tube with a bunch of demons. It’s deadly! Don’t know if you’ll get this or not, since I’m relying to the email version of your blog…. This post reminded me of an incident my husband and I experienced several years ago. We were on a vacation in December, we wanted to go to church on Sunday. This was pre-internet, so we only had the phone book to go on. I found a church that seemed okay, based on the ad in the yellow pages. Two things will forever stand out to me about that service. First, since it was December, this was in the prayer “Lord, we know that this is a hard time of year for many people financially. Please provide everyone with what they need” or something like that. At no time during that prayer, or elsewhere in the service was anything mentioned about how we (the body of Christ) could provide some of that help to people in need. Second, the sermon was pretty much just an exhortation to give to the church (not to God). The subject of the sermon was Paul, and the pastor spoke about how much more effective he could have been for the gospel if he hadn’t had to be bi-vocational. If it wasnt’ so tragic, it’d be laughable that anyone oculd think Paul could have been any MORE effective for the Gospel than he was! One issue that no prosperity minded preacher seems to want to touch is that of hoarding. To me, this is the giant elephant in the room which no one wants to address. Hoarding resources to oneself is basically universally recognized as sin and contrary to Christian morality. Without legalism employed, surely one can still recognize boldfaced hoarding at some point with ministers of the Gospel, and with wealthy Christians who want to be leaders in the church but not be held accountable in any way for how they handle their prosperity. I don’t think it’s ever an issue of income, but rather how much one keeps strictly for personal use and lifestyle aggrandizement. When is it just way too much, and a gross and consciousless display of selfishness, pride, greed, and hoarding?? Why so much for self when there are so many Kingdom causes that could really use financial support? It’s just plain ludicrous and unchristian at some point, isn’t it??? You raise some excellent points. Thank you!